This theme has focused on getting feller bunchers onto steep country. Feller bunchers fell trees and then place the harvested stems for convenient collection by cable haulers. ClimbMAX steep slope harvester. To date 11 ClimbMAX harvesters have been sold, including 8 export sales. 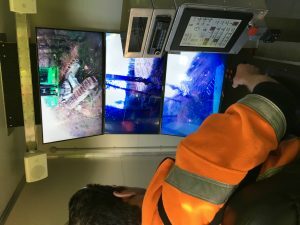 Teleoperation control system for a feller buncher – a prototype has been built, tested and demonstrated to the industry. A remote control unit for a mobile tail hold machine has also been built. 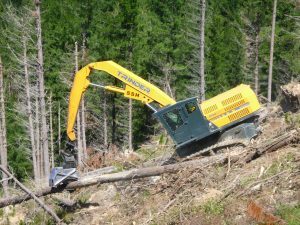 Steep land harvesting – the ClimbMax harvester. 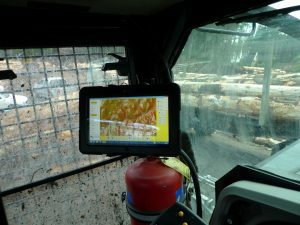 The HarvestNav 3 machine navigation system.